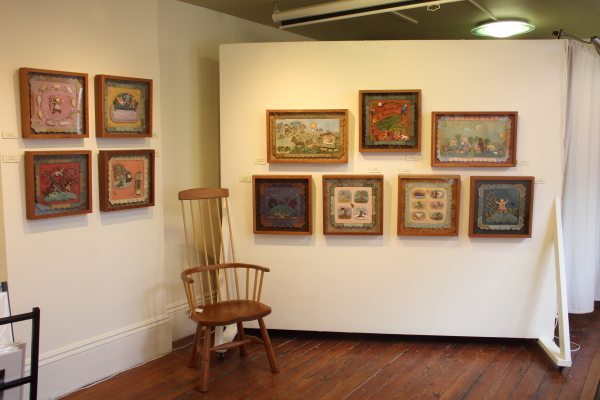 On Monday, we hung 28 original illustrations from Pocketful of Posies in Gallery 65 on William in New Bedford, MA. The show begins tomorrow and closes on March 29 (please note: During March, they are open Wed, Thurs, Fri, Sat, 11 am – 5:00 pm). I’ll be giving a lecture at the closing reception on Sat., March 29, 3-5 pm. 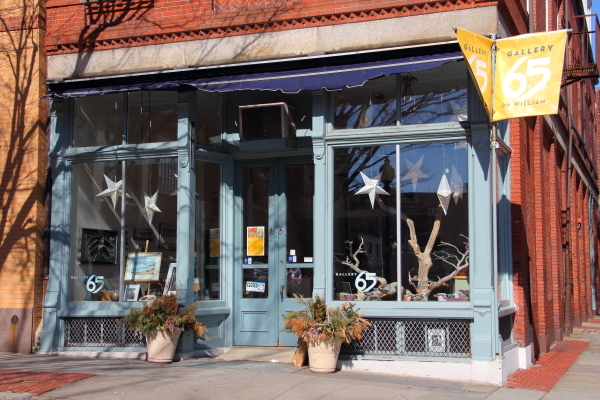 It’s a delightful cooperative gallery in the cobble-stoned historic part of the city, which is operated by a group of local artists and craftspeople. I met one of the coop members, Nicole St. Pierre, at a Surface Design Association meeting last year. 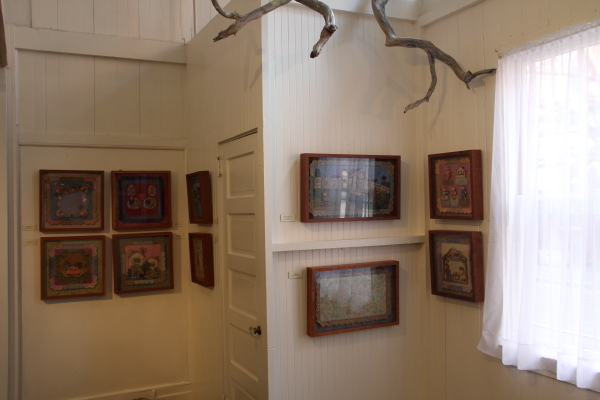 She invited me to show my work in a space at the back of the gallery set up for revolving “guest” exhibits. We picked March because it was during “fiber month” in New Bedford and there was a gap in the Pocketful of Posies touring schedule. With the 4 year tour winding down, I am making the work available for sale. 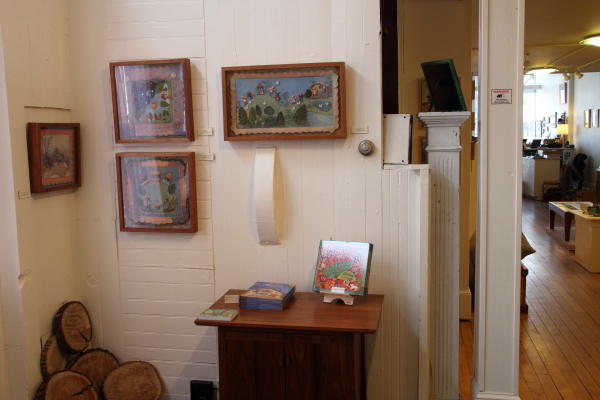 All of the 28 pieces in this exhibit have a price listed, ranging from $2,500 to $6,500. The other 23 pieces have either sold and gone to new homes or remain in my collection. 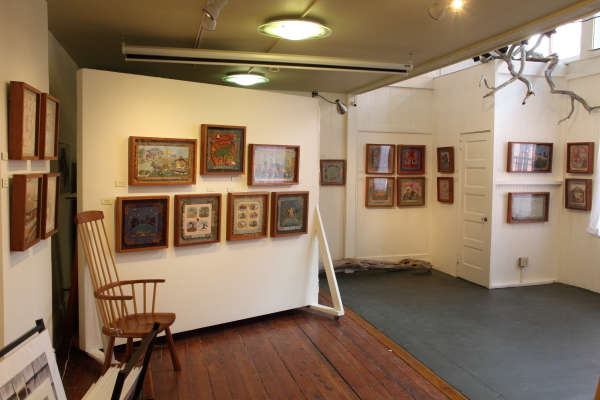 Interested buyers may call or visit the gallery (508) 994-1595 during open hours, 11:00 am – 4:30 pm, Thurs, Fri and Sat. 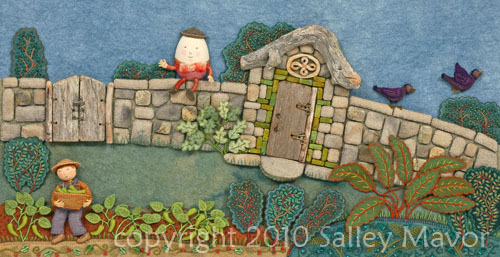 This entry was posted in Events, Exhibits, Posies Traveling Show by Salley Mavor. Bookmark the permalink. Now your in my neck of the woods! I hope to be able to catch your talk in late March. It’s hard to believe that posies has been on the road that long. I saw the collection when it first started at Highfield. Good luck with selling your pieces, they are amazing! What a delightful place to have a show.good work! Hope you sell lots.Your prices reflect the many hours of attention to detail which is admirable, and delightful.